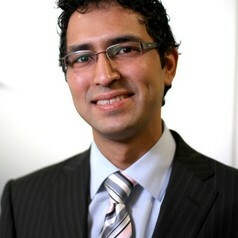 Dr Raheel Nawaz is a Reader in Text and Data Mining at Manchester Metropolitan University (MMU). He holds adjunct and honorary positions with several research organisations, both in the UK and ion Pakistan. He regularly makes media appearances and speaks on a range of topics, especially Artificial Intelligence and Higher Education. Before becoming a full-time academic, he served in various senior leadership positions in the private Higher and Further Education sector; and was an army officer before that.